Brazil’s once hugely popular president Luis Inácio Lula da Silva faces a new grilling Wednesday by the country’s chief anti-corruption judge, Sergio Moro, in a case that could eventually decide whether Lula can return to power. Lula, who is a frontrunner in the polls for the October 2018 presidential election despite multiple corruption charges, will be questioned by Moro in the southern city of Curitiba. The testimony is part of 71-year-old Lula’s trial for alleged bribe taking from the scandal-plagued Odebrecht construction giant. He is already a defendant in four other corruption trials. And in July, Moro sentenced Lula to nine-and-a-half years in prison after being convicted in a sixth trial of receiving a seaside apartment from the OAS construction company in return for help obtaining lucrative contracts with the Petrobras oil company. Lula, the founder of Brazil’s leftist Workers’ Party (PT), is free pending appeal of that sentence and hopes to string out or defeat the other cases so that he can run for a third term next year. But problems are mounting for the man whose 2003-2010 presidency made him Latin America’s new leftist giant. Although Lula tops the polls, that is partly because campaigning hasn’t started and name recognition gives him a head start. Also, his negative ratings are far higher than for other candidates. A recent bus tour of his electoral heartland in the north-east of Brazil met a lukewarm reception, drawing core supporters but not the kind of massive crowds that might have made judges afraid of tough action. Lula says the corruption charges are concocted to prevent his return. Lula is accused of having Odebrecht buy the land for his São Paulo institute and providing an apartment in nearby São Bernardo do Campo. 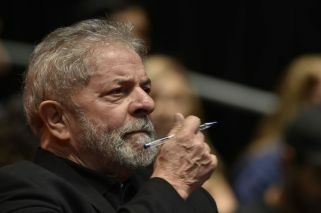 Palocci said a “blood pact” was reached between the Workers’ Party and Odebrecht in 2010 when Lula was handing over to his successor Dilma Rousseff, with the company giving the party the equivalent at that time of US$171 million. Lula says that Palocci, who has been sentenced to 12 years prison, is testifying falsely under pressure. Party activists say they will demonstrate in Curitiba. The crowd is expected to be smaller than the approximately 7,000 that turned out for Lula when he was questioned by Moro in a previous case in May. Brazil’s Supreme Court was scheduled Wednesday to start considering a demand by President Michel Temer for the recusal of the chief prosecutor leading a corruption case against him. This comes as Janot is expected to file criminal charges against Temer before he leaves his post and hands over to a new chief prosecutor on Monday. Janot is expected to charge Temer with obstruction of justice. Congress has to approve any trial of the president and in August voted overwhelmingly to toss out a first charge, which accused Temer of taking bribes. Temer is believed to retain sufficient support to ride out a second charge. The obstruction of justice charge would depend in part on a secret recording made by meatpacking billionaire Joesley Batista in which Temer allegedly is heard calling for payments to a jailed politician to prevent him testifying. Batista and his brother Wesley signed plea deals with prosecutors after admitting they had run a huge bribery network to benefit their company JBS. However the leniency accord has been torn up after Joesley Batista was accused of withholding information from prosecutors. In another motion, Temer’s lawyers are asking the Supreme Court to block any new criminal charges by Janot until clarification of what they say are irregularities in the way the Batista plea bargain evidence was collected. The court was due to meet Wednesday afternoon but it was not clear whether the Janot-related items would be considered quickly, with delays potentially pushing the matter to another day. Wesley Batista, CEO of Brazilian meatpacking giant JBS, was arrested Wednesday on accusations that he profited from insider trading during market turbulence caused by his own involvement in a corruption probe, police said. The arrest in São Paulo followed the detention on Sunday of Batista’s brother Joesley, who is also a central figure in the corruption probe, which threatens to bring down Temer. 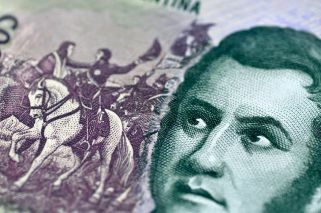 Wesley Batista is accused of improperly profiting from trades in JBS shares and US dollars between April 24 and May 17 ahead of the announcement of a plea bargain between both brothers and prosecutors in the Temer-related case. News of that plea deal immediately sent company shares diving and the dollar into a steep rise.